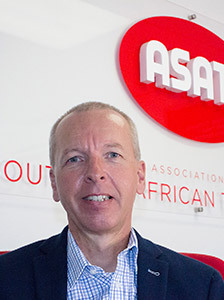 ASATA is headed up by a CEO and administered by a full-time secretariat. ASATA’s continued role and direction is guided by a board of Directors, in addition to Board sub committees and ad hoc Member Advisory Forums, comprising subject matter experts. 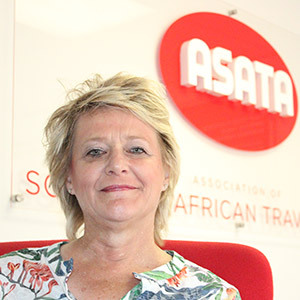 ASATA’s board of directors are appointed through a board nomination committee and include representatives from all the leading travel brands. A serial entrepreneur and co-founder of Serendipity Tours, Dinesh Naidoo is currently the Group Operations Director of Serendipity Worldwide Group (SWG), voted the number one brand for 2017 in KwaZulu Natal. 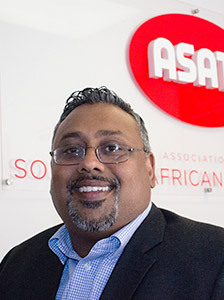 A passionate and highly motivated individual who loves innovation and technology, Dinesh has a very diverse profile – from sponsoring a major IPL cricket team in 2009, to producing and distributing movies, bringing international artists to South Africa and working for the United Nations. 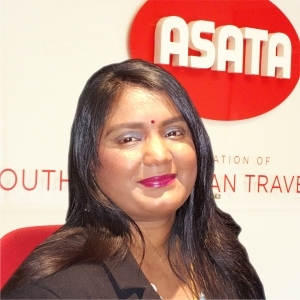 Having held the position of ASATA vice president previously, Dinesh believes life is a journey of memories and the more memories one makes, the better the journey is. For Dinesh, the more people he can help succeed the easier it is for him to succeed. Scholtz Fourie started his career as an internal auditor at the Bryanston head office of Omnia – a fertiliser and explosives manufacturer. He eventually moved to Mauritius as the company’s commercial manager and later commercial director, and was instrumental in growing the business internationally. Having always planned to explore different options for career growth and advancement, Scholtz was ready to accept a new challenge when the Tourvest Travel Services opportunity arose early in 2016. He stepped into the position of CFO in September of that year. 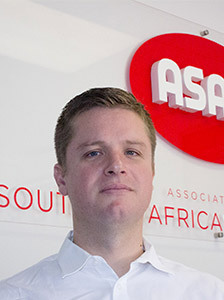 A chartered accountant, Scholtz completed his BCom degree at the University of Pretoria and an honours degree in accounting through Unisa. He also holds a law degree (LLB). Scholtz is married and has two daughters. Colin Mitchley’s professional career started with Deloitte & Touche where Colin completed his articles and worked his way through the ranks to assistant manager position before moving to the UK for several years to expand his accounting knowledge and skill. Colin joined Carlson Wagonlit Travel (CWT) in January 2000 as Group Internal Auditor and was eventually promoted to the role of Financial Director in 2004. 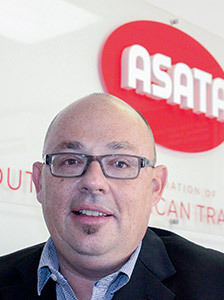 In March 2008, he was appointed Group Financial Director for BidTravel (Pty) Limited. Colin is a married to Birgit and has two daughters. He has a passion for running and has completed a number of international marathons as well as Comrades. 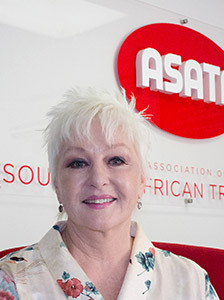 Otto is the CEO of ASATA (Association of Southern African Travel Agents), past Chairman of the World Travel Agents Association Alliance (WTAAA) and board of the Tourism Business Council of South Africa (TBCSA). He has been active in the travel industry for 30 years, 20 of those in senior management roles in the inbound, retail and wholesale sectors. He is a WTAAA delegate to the IATA Passenger Agency Global Joint Council (PAPGJC) and currently Chairs the WTAAA Air Committee. Through the Council he has participated on a number of sub-committees, including the steering group on NDC Thought Leadership, the Transparency in Payment Advisory Group and the IATA ADM Working Group. Closer to home he actively participates in the Tourism Leadership Forum (TLF) and through the TBCSA worked on several committees that focused on the B-BBEE Tourism Sector Code amendments; amendments to the South African Immigration Act and the Market Access/ Regulatory Environment Working Committee of the Department of Tourism. After seven years’ of travel following his National Service, Steve Egan’s interest in travel was piqued. 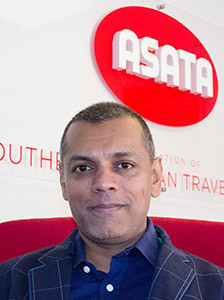 He embarked on his travel career at Sun Air, Lufthansa and South African Airways before joining Travel With Flair in 2004 as the group’s General Manager. Passionate about travel and customer service, Steve has subsequently become a director of TWF Club Avenue and is responsible for Operations , Finance, HR, IT, Sales and Marketing, Leisure Division, and Conference and Events. Steve is keeping travel in the family, having married a travel agent with whom he has an 11-year-old son. When Steve isn’t inspiring others to travel he enjoys sport and keeps fish. Starting her career in travel in 1994, Tammy Hunt joined the eTravel family and under the mentorship of Garth Wolff (eTravel CEO), rose through the ranks from owning her own ITC company and becoming the Travel Manager for eTravel Coastal to being appointed as the group’s Operations Director in 2013 and MD in 2017. Although this position comes with a lot more responsibility, Tammy is most certainly up for the challenge and has welcomed the opportunity with both hands. Tammy has an incredibly supportive husband, Scarbra, and two beautiful daughters, Tyler and Olivia who are constantly reminding her what life is about ….. celebrating life. 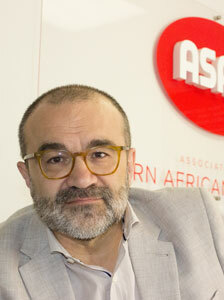 Frank Palapies joined Wings in 2014 as Chief Operating Officer/Commerce for Africa, Middle East and Brazil, based in Johannesburg. Frank has over 20 years’ experience within the global hospitality, airline, travel procurement and technology sectors. 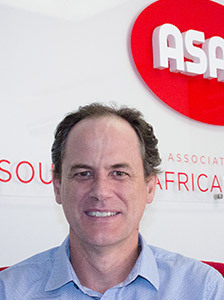 His career includes 10 years with Amadeus IT Group from 2000 to 2010 where he held senior positions as head of global commercial operations in Sophia Antipolis (Nice) and General Manager Southern Africa. Frank is responsible for Wings’ day-to-day operations in his regions, as well as business development internationally. With over 22 years’ travel experience, Sailesh Parbhu began his career as a junior consultant at Flywell Travel. Working his way up the ranks, Sailesh now holds the positions of Managing Director of XL Nexus Travel, the chairman of the Laxmi Group and Chairman of the XL Travel Exco, among other roles. An entrepreneur at heart, Sailesh is responsible for the overall management of new business development and key account management, as well as ensuring a strategic overview of all branch offices and in-house offices of Nexus Travel, which employs over 200 staff members and has offices nationally. A dynamic leader for a dynamic travel company, Andrew Stark began his foray into travel over 20 years ago as a travel consultant. Today, Andrew leads the Flight Centre Travel Group team in the Middle East and Africa, having moved up the ranks in roles that included General Manager Product and Marketing in South Africa and New Zealand, and General Manager of both Corporate and Retail in South Africa. A passionate entrepreneur at heart, Andrew employs his business acumen and problem-solving skills to drive the business towards its 2022 goal of becoming Africa’s greatest travel and technology experience company. 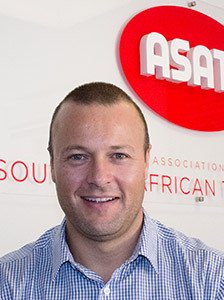 Andrew holds a Tourism Diploma, an FMP in business management from GIBBS, and is a board member of the Association of Southern African Travel Agents and director of the Flight Centre Foundation. A family man, Andrew enjoys playing squash, mountain biking, running and touch rugby. He is also an avid Lions supporter. 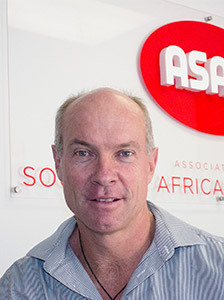 After graduating from the University of Cape Town with a B-Com CTA in 1983, Lance Smith completed his articles with Coopers & Lybrand and qualified as a chartered accountant. 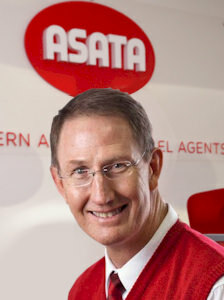 In 1999, Lance joined the travel industry, accepting the position of sales and marketing Director at Avis and remaining in this role until 2003 when he was promoted to the position of Executive Strategy. 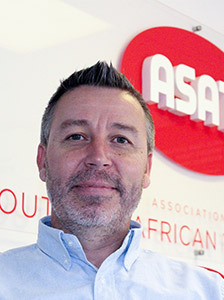 He returned to sales management for Avis in 2011 and now holds the positions of Chairman of TOMSA (Tourism Marketing South Africa ) and Director of the TBCSA ( Tourism Business Council of South Africa), where he is also the Chairman of the Corporate Governance and Finance Committee. Happily married to Alta for 30 years, this father of three is an active sportsman and enjoys playing tennis and golf, going to the gym and fly fishing. 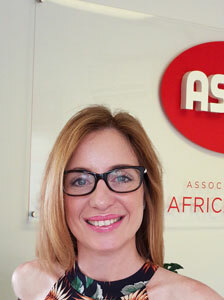 With 30 years’ experience in travel, Jackie has experience in retail and wholesale travel, having successfully elevated the popularity of World Leisure Holidays as the Operations Director, and then Managing Director. 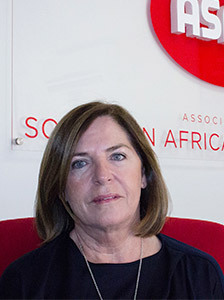 Jackie founded and is the Managing Director of The Holiday Factory, which has revolutionised the South African Tour Operating landscape by offering independent Mauritian hotel groups a marketing and fulfilment platform in the South African market. 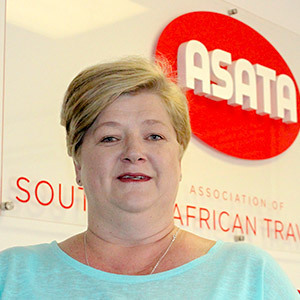 In just a few years, the company has risen to the position of one of the largest and most respected Wholesale Tour Operators in South Africa. An extremely passionate and driven individual with a strong operational and marketing background, Jackie is a fearless leader with a penchant for doing it right. She lives by the motto good enough never is!